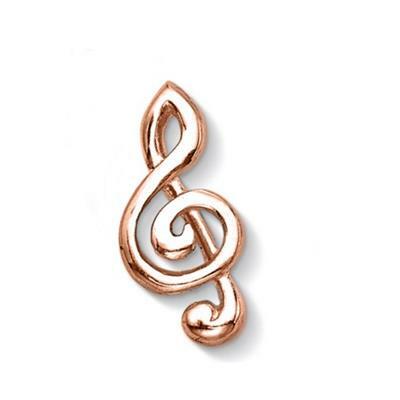 Personalise your Dower and Hall Cherish locket with this 18ct Rose Gold plated Sterling Silver treble clef treasure, wear this symbol to channel your creativity and passion for music. The collectable treasures capture your most precious moments and create a personal accessory that can be cherished for years to come. This charm is 20mm in size and fits the medium and large Cherish lockets only.